When you think back to that holiday full of sweet memories, you probably remind of the romantic hotel that hosted you. So why don’t celebrate your wedding in that very special venue? In fact, there are several reasons to choose an hotel for your wedding. From the luxurious 5-star hotels on Lake Como or Amalfi Coast, to the Apulian masserie, or to the relais surrounded by the Tuscan countryside: Italy offers every possible solution suitable for every style and panorama! Not everyone knows that overnight accommodation isn’t always mandatory to organize the event, for example. In fact, some hotels offer the possibility to reserve just some areas to host the wedding. In this case, however, there are time and volume limits to be respected as not to disturb other customers. Anyway, it’s more comfortable to let the hotel be fully part of your destination wedding. In fact, you could reserve the whole venue exclusively for you and your guests for several nights: you would spend your days relaxing by the pool, the spa or discovering the location, while in the evening you would enjoy informal side-events. In this case, there would be fewer restrictions and you would not have to plan a travel service. Moreover, you will be able to get ready for your big day at the venue. The exclusivity is required in particular by boutique hotels and farmhouses: "intimate" places that will make you all feel pampered. In addition to being able to stay overnight in the same place where the wedding is set, another advantage is having a professional staff ready to assist you 24 hours a day. Moreover, the catering is always in-house and high-level. Several hotels have a Michelin-starred restaurant, indeed. Regarding other suppliers - such as flower designers and service - some hotels work exclusively with certain companies, while others leave free choice. Finally, the hotels for destination wedding offer different areas where to set the various moments of the wedding: gardens, terraces, courts, beaches, lemon groves in case of good weather; elegant rooms or winter gardens for the winter season. 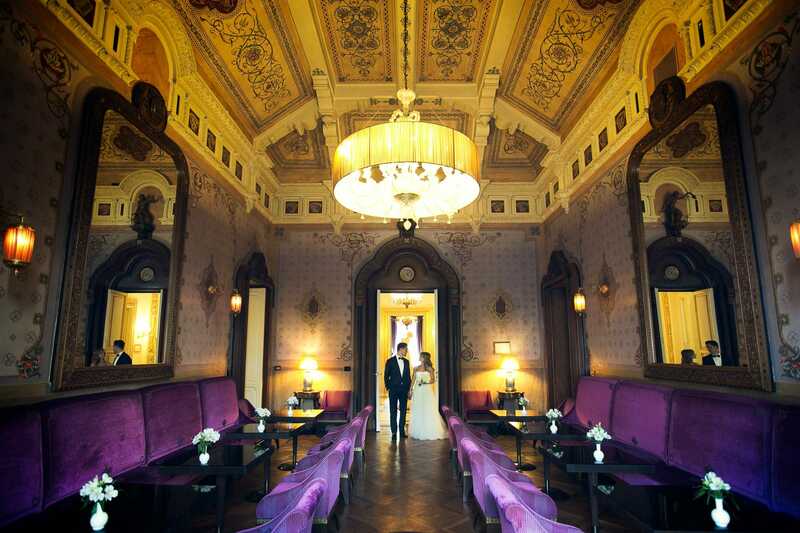 Taking as reference Florence, our city, we suggest you four hotels that can offer you a luxurious stay and amazing wedding. 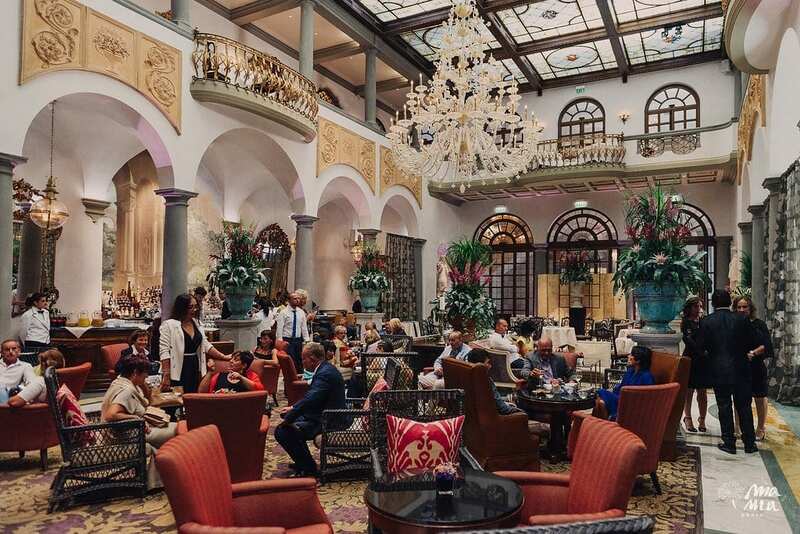 Four Season is the famous international brand synonymous of a timeless elegance: the gardens enriched with statues and fountains and the interior rooms - characterized by high reliefs and frescoes - will transport you and your guests in an enchanted world. Westin Excelsior is also a prestigious hotel, part of an international group. 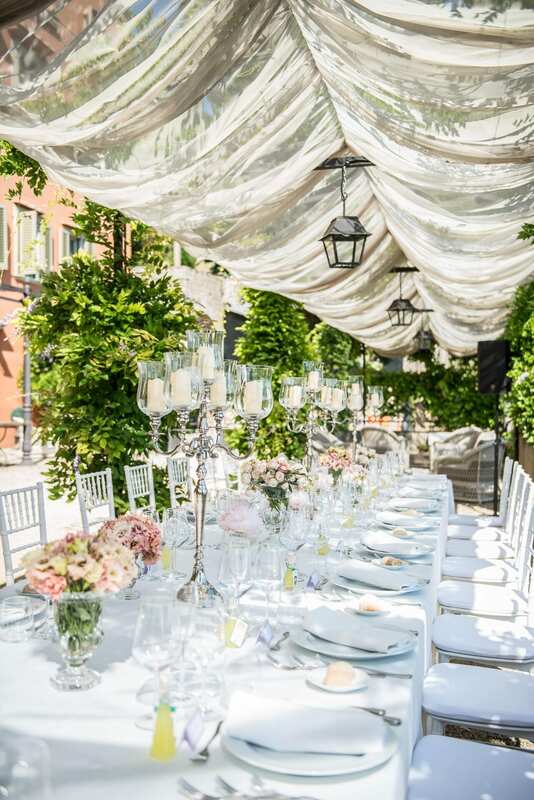 Built in the city center, it boast the famous panoramic terrace Sesto On Arno: ideal for receptions overlooking Florence that will leave everyone speechless. 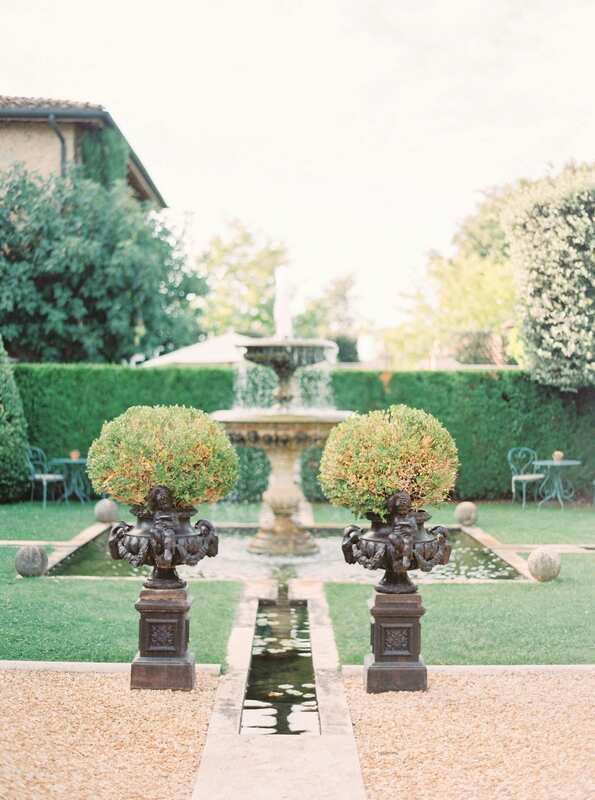 Villa Cora is a 19th-century residence transformed into a lavish 5-star hotel. It is ideal to host exclusive events at a short distance from the city center. Finally, Villa le Fontanelle is an excellent venue for relaxing destination wedding. A few minutes drive from the historic center and surrounded by the Florentine countryside, this Provencal-style boutique hotel will make you feel at home. Are you looking for a fabulous hotel? Contact us and together we will find the best venue for your dream destination wedding.